"At Milmort, we have the advantage of an ideal location and are continuing with the expansion of our European Distribution Center." 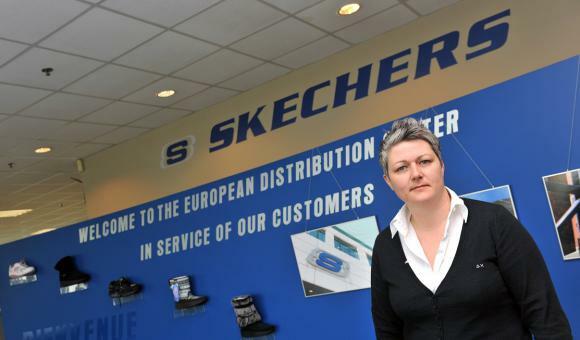 It is in Milmort, in the Hauts Sarts business park near Liège, that American shoe brand Skechers decided to establish its European Distribution Centre in 2002, in a 22,000 m² depot. The merchandise arrives via the port of Antwerp, before being stored and prepared at Milmort and then shipped to the whole of Europe. As this business park offers expansion possibilities, Skechers has doubled the size of its European Distribution Centre since 2009, and it now extends to 45,000 m². Employment has also been greatly increased, from 8 persons in 2002 to 150 in 2011. Google, Microsoft, GSK, Baxter, Décathlon and many others have already opted in favour of Wallonia. They have developed their activities there, attracted by the research grants, the geographical position at the heart of Europe and the quality of the logistics infrastructures. AWEX also provides free services and full support to businesses wanting to locate in Wallonia: research into subsidies, business premises, skilled personnel, training, etc. "Lighting Plan 4.0": Connected Walloon roads !